Tell us a little bit about your stories and how you came to take part in that project? The writing opportunity came through The Writing School at Manchester Metropolitan University. Senior Lecturer Dr Amna Khan advertised for a writer to fictionalize oral histories of gift-giving traditions spanning three generations of Pakistan, Bengal and Gujarat. Initially, I only completed the Pakistani account but Dr Khan and the Gift of Togetherness team enjoyed my work so commissioned me to complete the Gujarati and Bengali accounts too. The Gift of Togetherness Project, from which the stories stem, is centralized around Asian gift giving practices. The oral histories were divided into accounts for Pakistan, Gujarat and Bengal and each account had three memories of gift giving from three different generations within that particular culture. The over-arching theme was ‘gift giving’ but each story told of a different tradition: the Muslim festivals of Eid, Islamic engagement ceremonies and the less religious but more family-orientated tradition of hearing stories about the prized possessions of loved ones. My job was to fictionalize and fantasize the oral histories into children’s stories that would compel and educate the child reader about the diversity of gift giving traditions from South Asia. The book is called Eastern Roots Western Branches and is my second publication. You are not a Muslim or from India. How did you tackle talking about a religion or a culture that is not primarily your own? Research, research, research! I fully submersed myself into each of the three cultures. I researched cuisine, traditional clothing, religious and non-religious festivals, and the various languages. I can wholeheartedly say I have loved the entire experience and will forever be enlightened by it. 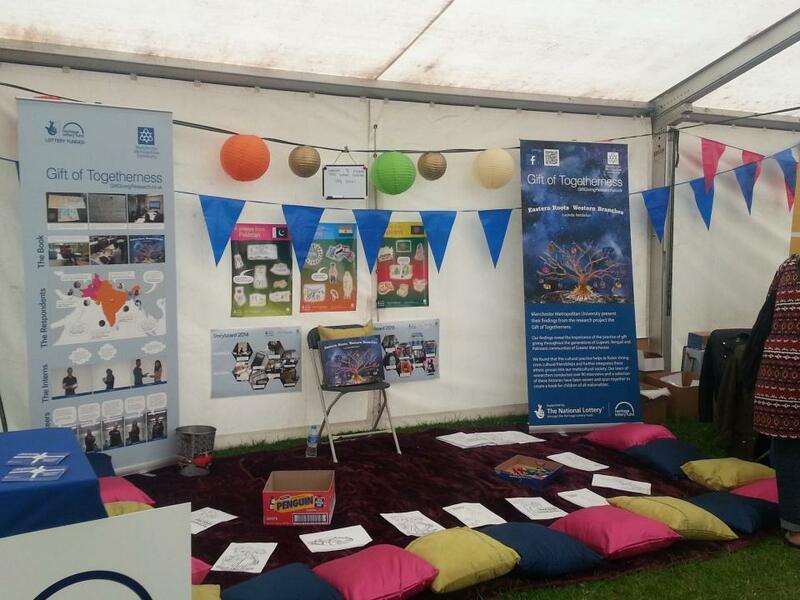 Actually, as Dr Khan once mentioned, I think the success of the Eastern Roots Western Branches being authored by a white, Catholic, English woman like myself, is that it fully embodies what the Gift of Togetherness Project is all about –fostering strong cross-cultural friendships and the integration of all ethnic groups into our multicultural society. What was the most challenging aspect in writing your stories? Wanting to do each oral history justice in my fictionalization. I was given this wonderful opportunity to hear the experiences of others and immortalize their memories in literature, which is a huge responsibility. I wanted the readers to engage with the stories but also for the history-tellers to recognize their own recollections that they kindly shared with the Project. 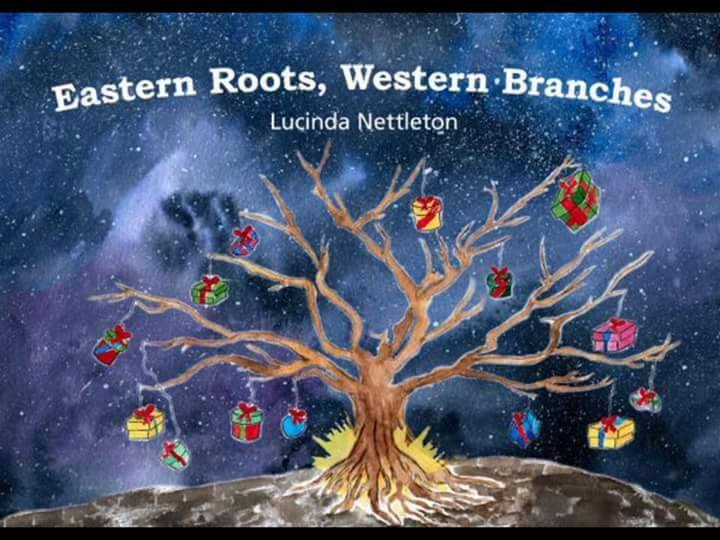 Eastern Roots Western Branches has received great response, and having met some of the three-generations from each culture, I am thrilled by their joy at how my stories turned out. How was it to take part in Manchester’s Mega Mela festival? Amazing. The atmosphere was incredible! At the age of fifteen, I travelled to India with Girlguiding to stay with an Indian family in Mumbai and to complete a Community Project in Pune, and I can honestly say the Manchester Mega Mela made me feel like I had returned to the beautiful continent of Asia. The food, the music, the arts and crafts, the vast array of cultures – it really was fantastic. With the Project, I attended the event over two days and spent my time reading Eastern Roots Western Branches to the children sat in our cushioned, story-corner. I loved seeing how the stories were bringing children of different cultures closer together. For instance, some children that had never heard of Eid were sitting side-by-side with children that had recently celebrated Eid as they explained and asked questions about each other’s gifting traditions. In this very act, The Gift of Togetherness Project had achieved its objectives. Following the completion of my Masters in Creative Writing: Writing for Children and having just initiated my own Writing and Tutoring Services, I dedicate my time to writing and coaching others to write. 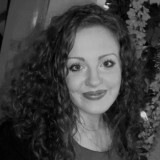 I am due to start tutoring English Literature and Language alongside Creative Writing on a consultancy basis at the start of September and will continue to write commissions as a Freelance Writer. I am particularly looking forward to the publication of a Crime/Detective narrative I have recently completed for the Manchester Science Festival 2015 and will be establishing a footing for the publication of my YA debut novel, Belglaun Blood. Thank you Lucinda for this insightful interview. This entry was posted in Interviews with authors by Marie Dentan. Bookmark the permalink.